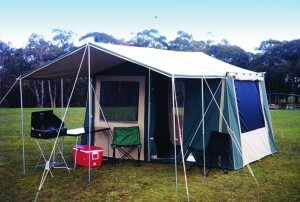 Southern Cross Canvas manufacture a vast range of accessories to complement the camping, 4WD and outdoors lifestyle. With numerous products ranging from their iconic 12 oz canvas Roof Rack bags through to their vinyl spare wheel rubbish bag. 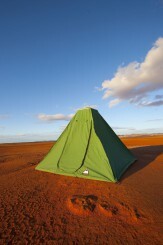 You will find many original, practical and helpful products within their range. Southern Cross Canvas are also specialist of manufacturing custom one off jobs also, so do not hesitate to contact them should you have something specific you wish to have manufactured. Manufactured using Heavy Duty 520 gsm Vinyl, it easily slips over the top of the spare tyre in which there are three tabs which are in place to be utilised to secure the bag to the tyre. This design enables the bag to quite easily removed to empty and clean when required. The base of the bin section is constructed of truck mesh to allow water etc. to drain through the bottom, in which there is also a truck mesh pocket for storing off bin bags or the like. The large size fits tyres sizes up to 32″ up to 35″. 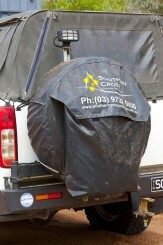 Note: The bags generally have Southern Cross Canvas Triangle logo on the flap section. Manufactured using Heavy Duty 520 gsm Vinyl, it easily slips over the top of the spare tyre in which there are three tabs which are in place to be utilised to secure the bag to the tyre. This design enables the bag to quite easily removed to empty and clean when required. The base of the bin section is constructed of truck mesh to allow water etc. to drain through the bottom, in which there is also a truck mesh pocket for storing off bin bags or the like. The standard size fits tyres sizes up to 31″. Note: The bags generally have Southern Cross Canvas Triangle logo on the flap section.